Congratulations to the Tango World Champions 2016, Cristian Palomo and Melisa Sacchi, dancers of El Querandi Tango Show Buenos Aires in the Tango-to-floor category, beating other 39 couples who came from different countries like Venezuela, Colombia, Korea, Holland, Russia and Italy! You can divide the Tango dance essentially in two styles which the two categories of this competition, the most important of the World: Tango to floor and Tango to stage. 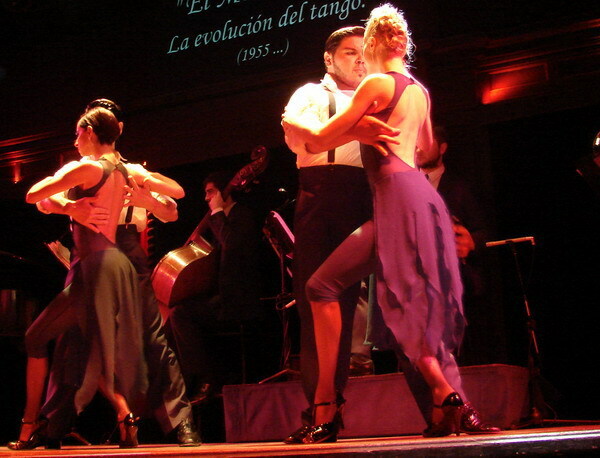 The Tango shows you will see in Buenos Aires mixes both styles although in both styles are using choreographies, while the Tango to Floor usually is improvised (like in the competition). Cristian Palomo and Melissa Sachi are dancers of El Querandi since a few years ago, they are fellow dancers from the last four years, when Cristian started to dance Tango. In the other hand Melissa had spend the last 17 years of her short life dancing “The dance of hugs”. They meet when Cristian was starting to dance Tango (He was a dancer of other music) and they set a powerful couple; they dance every day at El Querandi Tango Show but they also do private exhibitions and are well known at the milongas. Last year they had also a very good performance They came runners up! So El Querandi is the only Tango House who has dancing a twice highly awarded dance couple. Look at them they are pure emotion!! By the way is good to mention that this year the first four positions were for Argentinean couples. Is also remarkable that even the foreign visitors where very happy and excited with the victory of Cristian and Melissa, it is because most of them are fellows from the milongas, they know very well to each other and know that this couple is as excellent dancing as good people too. You can see Cristian and Melissa, the new Tango World Champions dancing almost every day at El Querandi Tango Show. Read more about the place and how to book with discount. FRIDYA AUGUST 21TH | 9.30 PM. 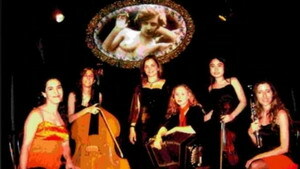 This group integrated by Stella Díaz (voice), Paula Guzmán (accordeon), Lucrecia Ortiz (piano), Laura Camacho (double bass), Mercedes Musso (clarinet) and Valeria Matsuda (violin), celebrates its 10th aniversary doing a tribute to the great ladies who did history in Tango. Eladia Blázquez, Nelly Omar and Tita Merello, between others.